With over 20 years of experience in the construction industry, Phil founded Ikon Builders in 2011 with his father and brother. 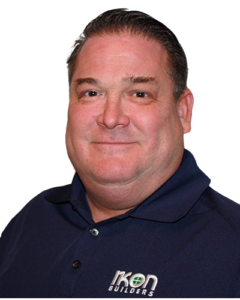 He serves the company and its clients as chief estimator, sales, marketing, and consultant to complex insurance losses. 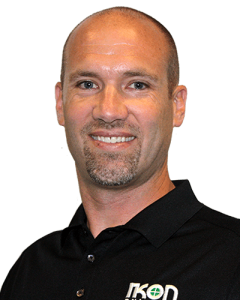 Matt has worked in all aspects of insurance reconstruction management since 1999. He started as an estimator and large loss project manager, and currently serves as the General Manager. A licensed general contractor since 1978, JC has over 40 years of construction experience. Getting his start in residential remodeling, he has worked in large scale residential builds, commercial finish carpentry, custom home building, and old fashion hands-on hard work. 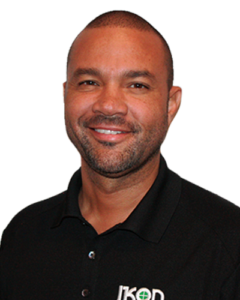 He serves Ikon Builders as its overall advisor, specializing on custom home construction, from the ground up. Katherine has worked in the insurance reconstruction industry since 2006 starting as an admin assistant and desk estimator. She now serves Ikon Builders in all it’s financial operations. 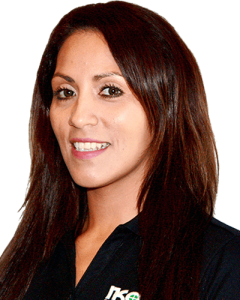 Since 2010 Carmen has worked in the insurance restoration industry and serves Ikon Builders by auditing emergency service estimates, creating contents estimates, coordinating and scheduling crews, handling complex losses, and manages our loss drafts processing services, collections, temporary services. 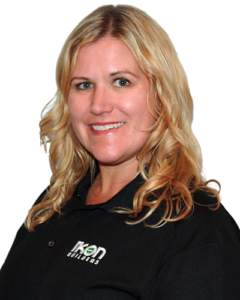 Since 2018 Paulina has joined Ikon Builders to work with the loss drafts processing services division, e-file manager, and general assistant to the general manager and other project managers. 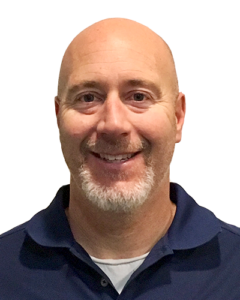 With a background as a quality assurance manager in the technology sector, Mike oversees operations and workflow for the reconstruction division. He advises the company on the integration of technology and process systems to create an optimal customer experience. He also serves Ikon Builders as an estimator. 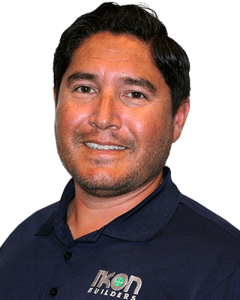 Mike grew up in the construction industry and started specializing in insurance reconstruction since 2012. He is a lead estimator for all sizes and types of jobs, including large losses. As a project manager he has a solid track record of happy clients and projects completed on time. With an early career in the tech industry, Terriel transitioned into the construction by becoming an investor and director of his own company. Coast West Homes purchased, renovated, and sold distressed properties nationwide. He now serves Ikon Builders as a lead Project Manager ensuring client satisfaction and quality workmanship. Stan has over 20 years experience in environmental clean up and construction. 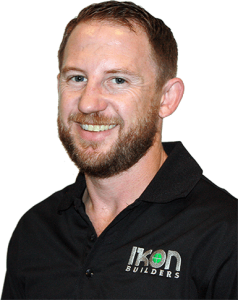 He is a licensed geologist who brings his extensive knowledge to every job he manages for Ikon Builders. Jeff began his career in the construction trades working with masonry, tile work, framing and drywall. With over 20 years experience Jeff serves Ikon Builders as a Project Manager who excels at meeting deadlines, ensuring quality and supervising new home builds. 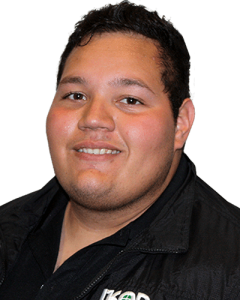 Since 2013 Adam has been working as a Project Manager for insurance water mitigation services. In 2018 he began working for the reconstruction division at Ikon Builders. He serves Ikon Builders as a Project Manager, estimator, and file manager. 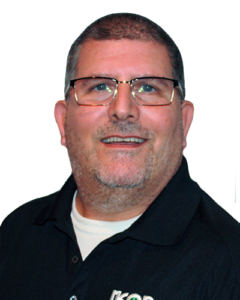 Starting in 1984 on the East Coast, Glenn began working in the construction trades. By 1996, as a project manager of large scale improvement projects in New York City, Glenn learned the value of schedules and deadlines. 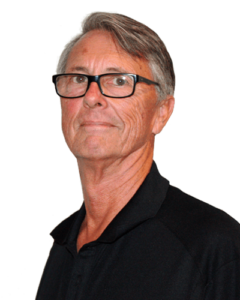 As a project manager for Ikon Builders, Glenn brings his considerable depth of experience to bear on insurance reconstruction projects. 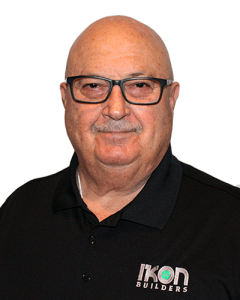 With over 15 years experience in the water mitigation and mold remediation services, Steve serves Ikon Builders being first on the scene for water damage evaluations, estimates and coordination of structural drying and mold remediation. 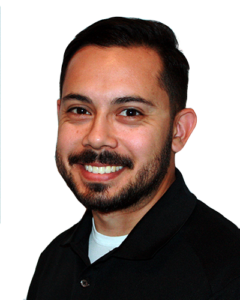 Prior to serving to Ikon Builders as an estimator and project manager, Dillon got his start in the construction industry in 2003 working in the field performing cabinet installations, painting, drywall and other trades. With 5 years experience writing estimates he has been helping homeowners deal with the complexities of insurance claim reconstruction. Joe has worked as a custom cabinet maker and a draftsman for an architectural millwork company. He now serves Ikon Builders as a assistant project manager. 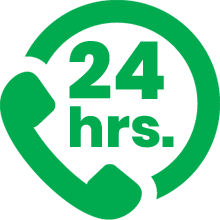 Our clients have commented that Joe’s communication skills and follow up are top notch. 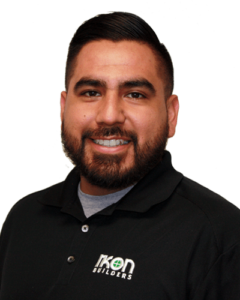 Jose started his career at Ikon Builders as an in-house crew worker specializing in drywall, paint, finish carpentry and punch list completion projects. He was promoted to Assistant Project Manager at Ikon Builders due to his incredible efforts at obtaining customer satisfaction and closing complex projects. He excels at project coordination, scheduling, and dealing with city building authorities. 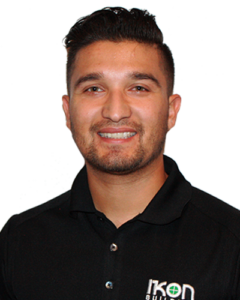 Alex has over 5 years of experience in water mitigation and mold remediation. He is IICRC certified, a member of the ABRA (American Bio-Recovery Association), and the National Institute of Decontamination Specialists. Since 2011 Claro has been specializing in water mitigation and mold remediation services. Claro holds certifications by the IICRC and he is Xactimate Level 2 certified. 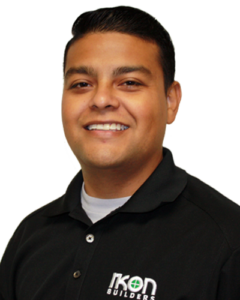 He services Ikon Builders as a supervisor and estimator for our EMS division.